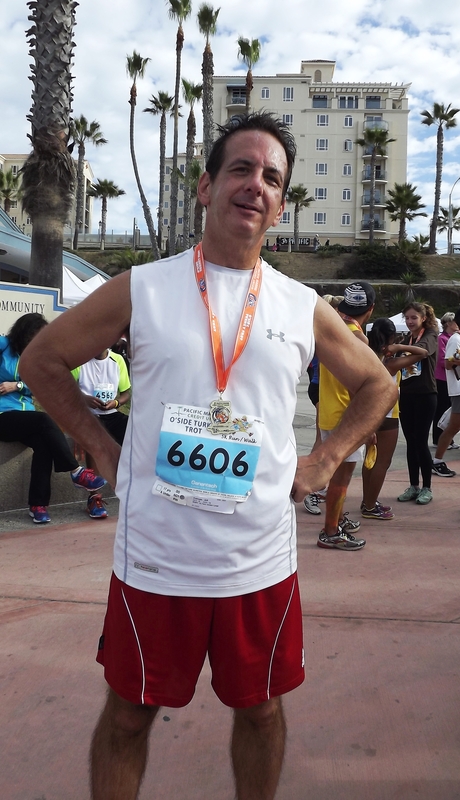 On October 27 I powerwalked and ran (about half & half) my first 5k, the Surf City 10 in Huntington Beach, CA, in 28:45. 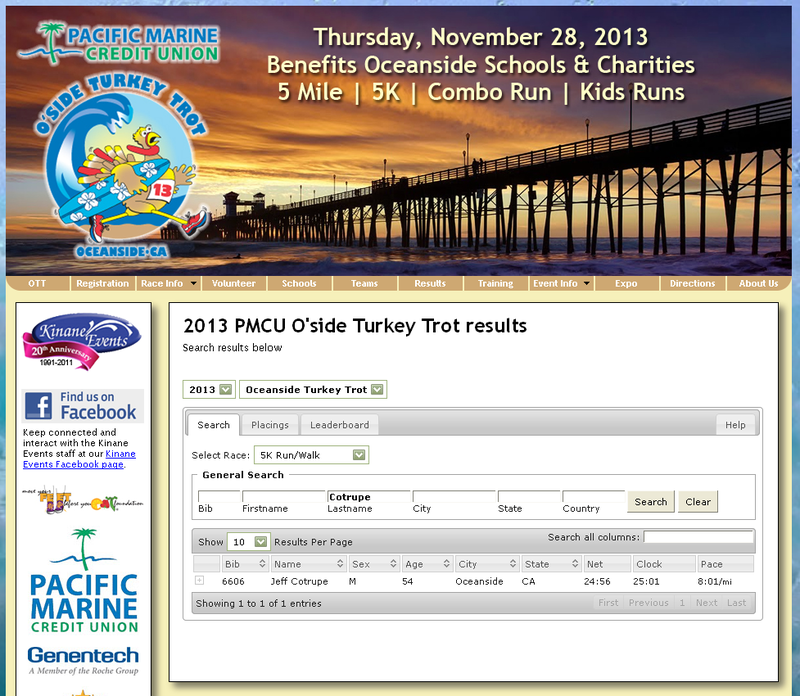 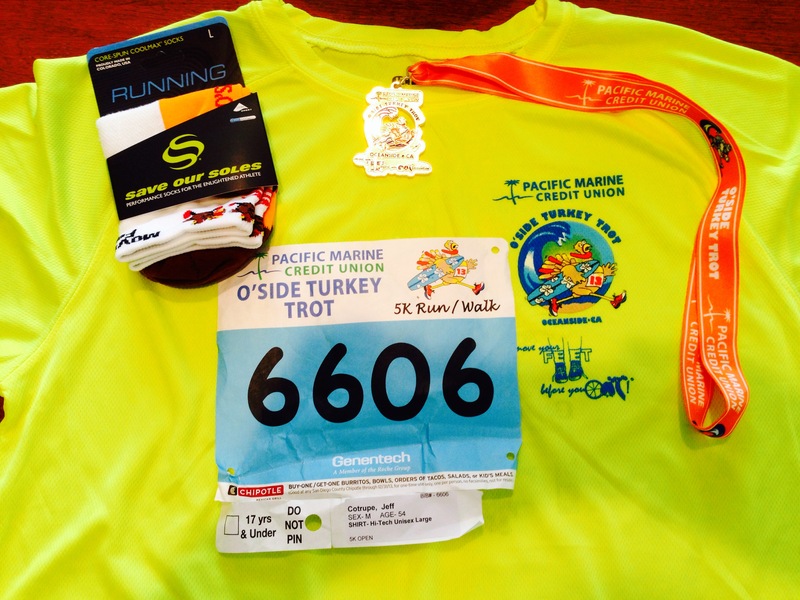 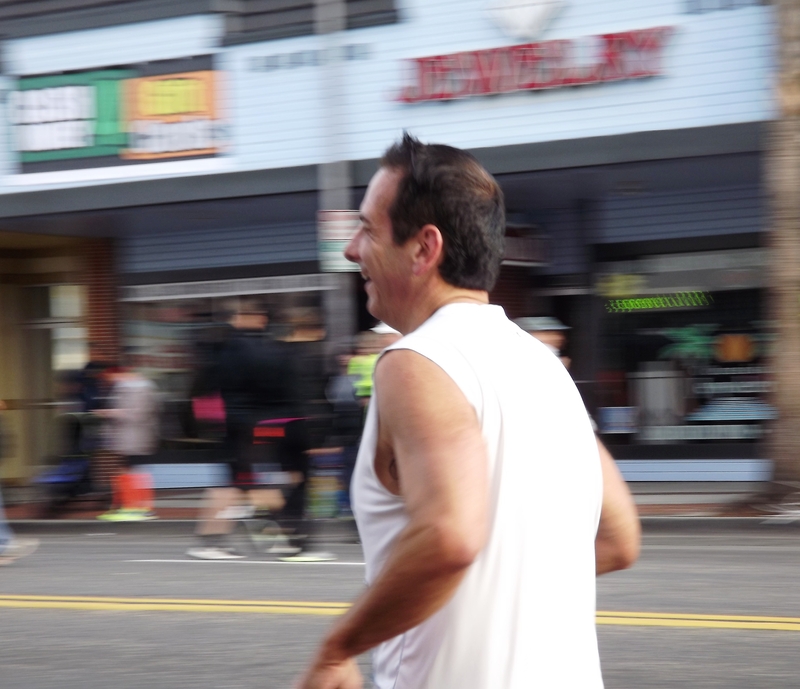 For yesterday’s Oceanside Turkey Trot I had a goal: “25”…and I did it! 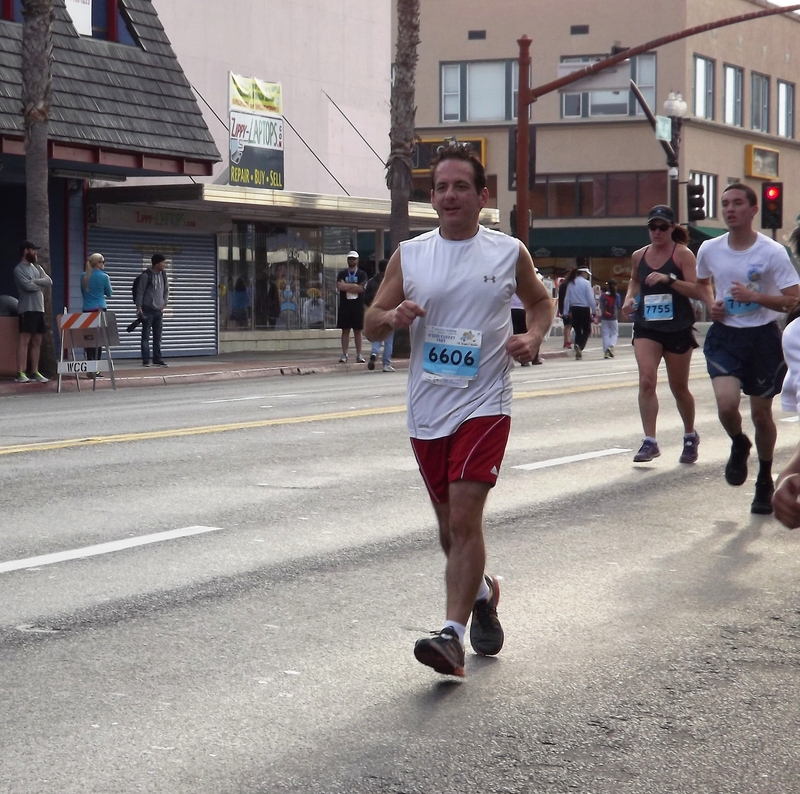 Ran all the way and finished in 24:56. 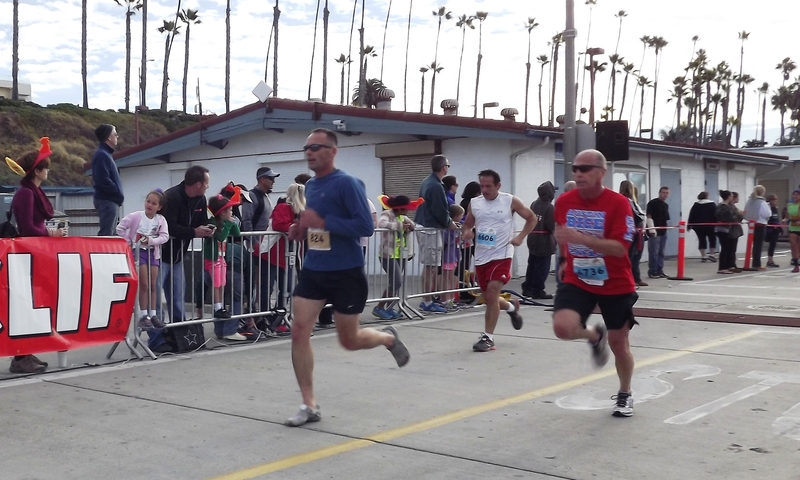 #576 out of 5,799 (top 10%) – #42 Age group Men – #48 Age group Men + Women. 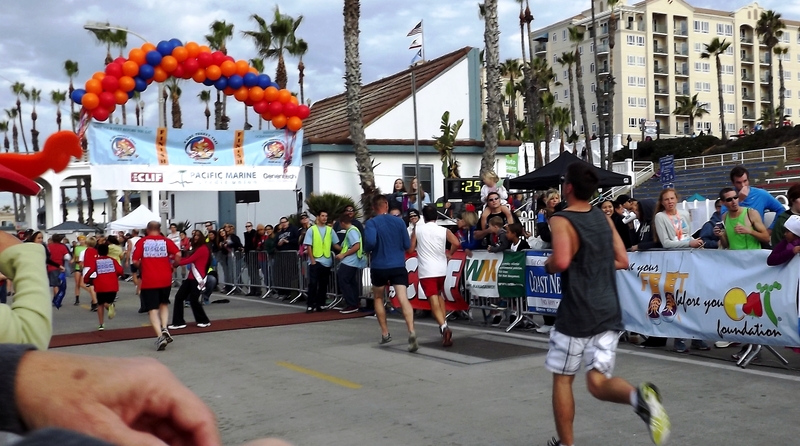 Thanx to older daughter Michelle for the photos, and to my wife Joanne for getting me there, and joining Michelle in cheering me on!